Telecom Italia offers infrastructures and technological platforms on which voice and data become advanced telecommunications services and leading-edge ICT solutions. Telecom Italia's wireline unit is Italy's #1 telephone operator, with some 16 million fixed access lines. Broadband connections total nearly 7 million and its wireless business also leads with more than 30 million subscribers. While Telecom Italia does most of its business in Italy, Latin America is a key international market. 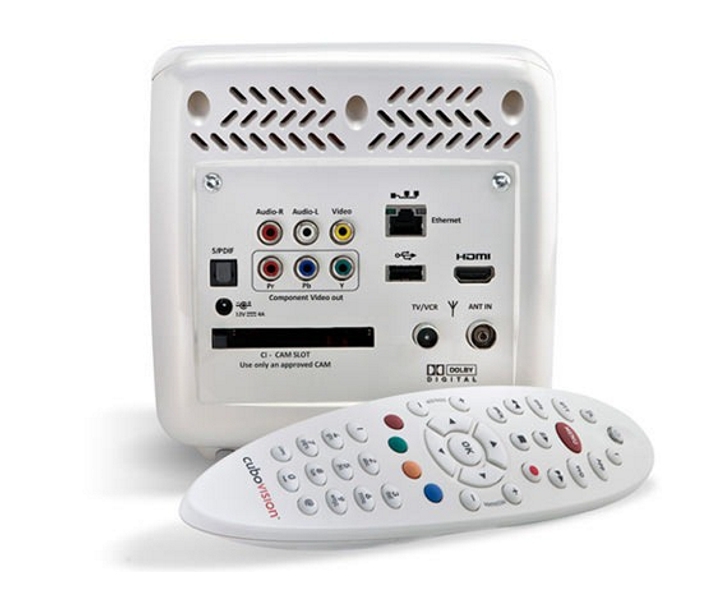 The company provides wholesale network access in South America, as well as Italy. 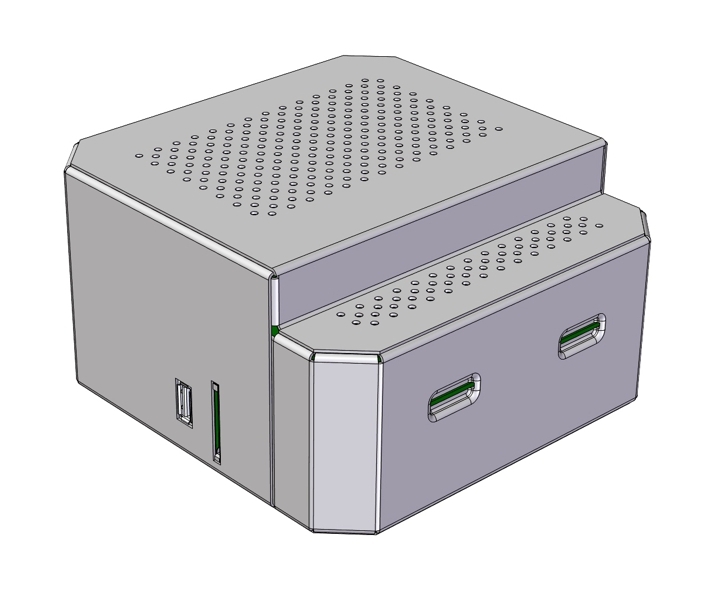 JWD Ltd was approached to assist in the development of the TI Cubovision Box, a hybrid set-top box offering access to broadcast and internet content. 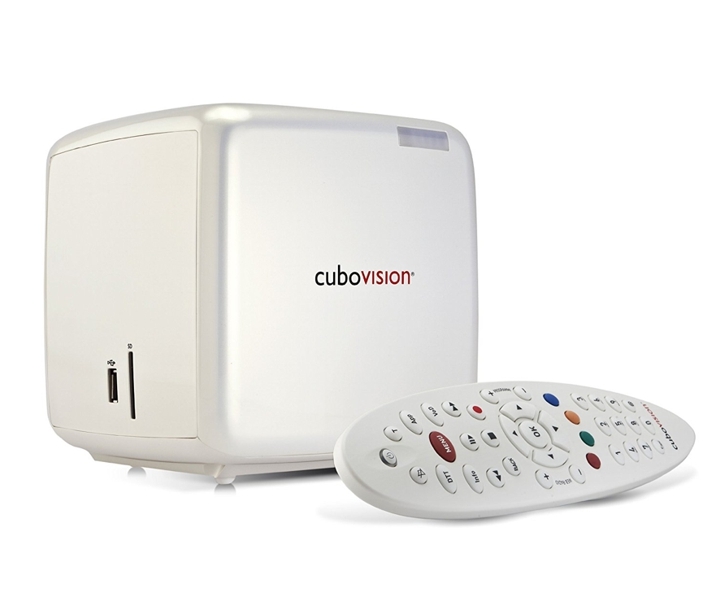 Based on the Intel Atom CE4150 processor and launched in December 2010, Cubovision offers home TV access to a range of digital terrestrial TV channels, leading web TV sources, and pay-per-view films as well as personal content such as photos, videos and music. 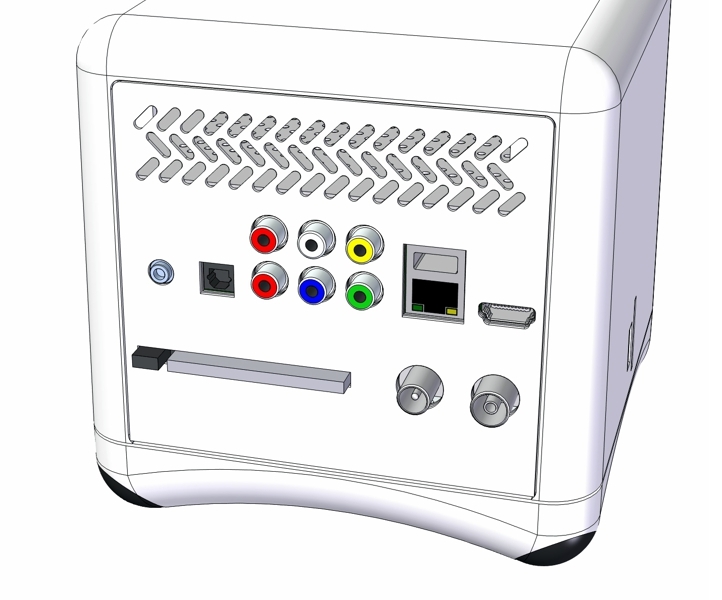 Following initial investigations into alternate configurations of this new product a range of concepts was developed to resolve assembly and packaging issues and to provide a design which complimented the form required by the client. 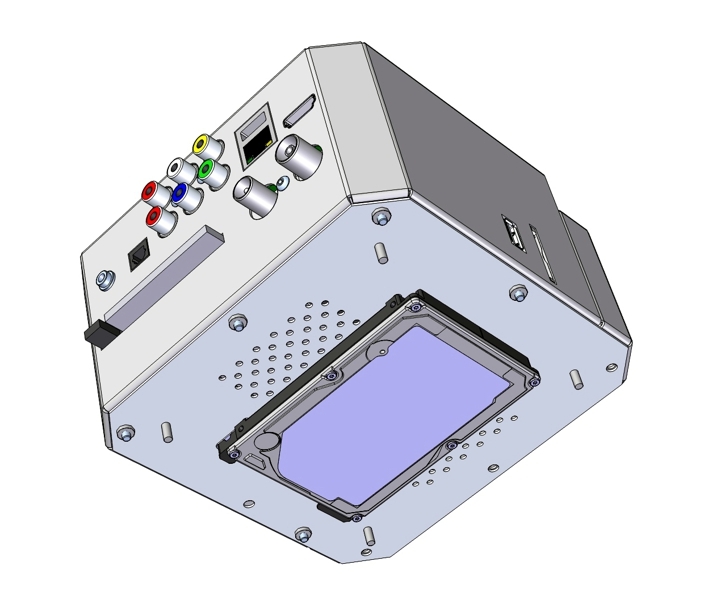 Working closely with the client, the design was developed in detail for manufacture and a 3D CAD assembly of the internal components was prepared in collaboration with the hardware development team. JWD prepared the design of the internal metal framework (a Faraday cage) and the external injection moulded parts which were then handed over to a Far Eastern manufacturing partner for volume production.